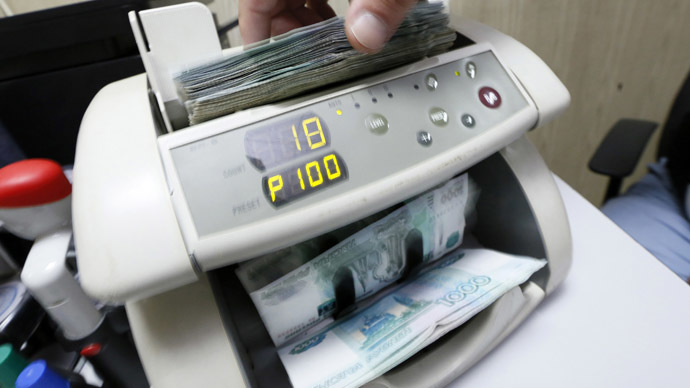 The Russian ruble continues to hit new highs against the dollar and euro, passing 54 against the dollar on Wednesday, the strongest since mid-December, when a currency crisis blew out more than 30 percent of the ruble’s value in just two days. Gains were made despite a weakening in crude prices. The US dollar lost more than 2.2 percent against the ruble, trading at 53.4 on Wednesday morning. The euro, which has also been slipping since its €1.14 trillion QE package began, dropped to 58.49, a 1.7 percent drop. Against the pound, the ruble strengthened to below 80. The currency, the worst performer in 2014, is now the best in 2015, and has gained more than 10 percent this year. Oil prices continue to play a less important role in the rubles gyrations. In 2014, the Russian currency was closely tied to benchmark variations, and lost 50 percent of its value along with Brent crude. Russia's Central Bank said Tuesday the Russian economy is ready to withstand $40 per barrel oil. The reprieve corresponds with analysts and government officials changing their negative forecasts for the Russian economy. On Tuesday, S&P said growth will return to 1.9 percent in 2016. More cheerful predictions may have eased the nerves of Russians getting them to buy more rubles after stocking up on foreign currency when the crisis hit in December. On December 16, the ruble spun into freefall, with the dollar hitting 80 and the euro crossing the 100 mark threshold. 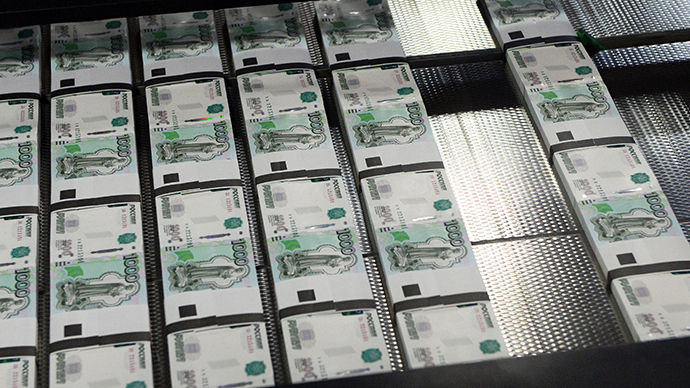 Since ‘Black Tuesday’ the ruble has recovered more than 40 percent of its value. On Tuesday, the ruble closed at 55.03 against the dollar, but much of the bump was related to a bump in crude oil prices. 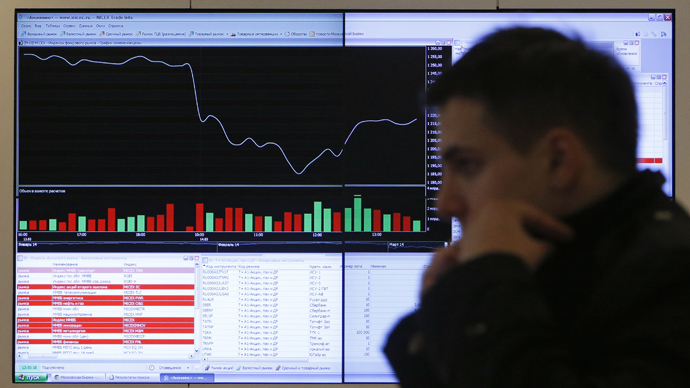 On Monday, the ruble was given a boost by a 6 percent jump in the Brent oil benchmark. Inflation in Russia is still at a record high of 16.9 percent annualized, according to Rosstat March data released Monday. 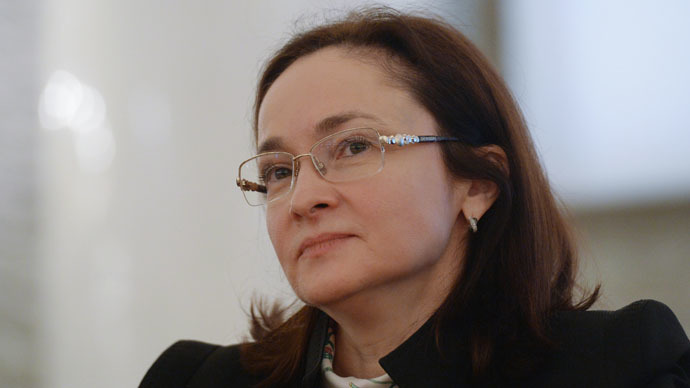 Central Bank chief Elvira Nabiullina says she expects it to decrease to 9 percent by March 2016.